It’s been a fairytale kinda wedding, right from the bachelorette to the Hindu and Christian wedding! 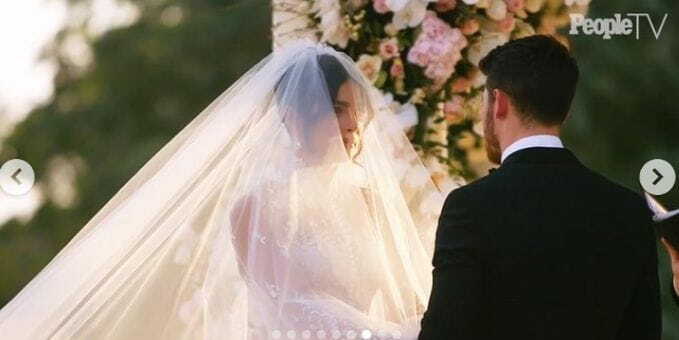 Priyanka Chopra and Nick Jonas are now husband and wife after a 4-day long celebration! 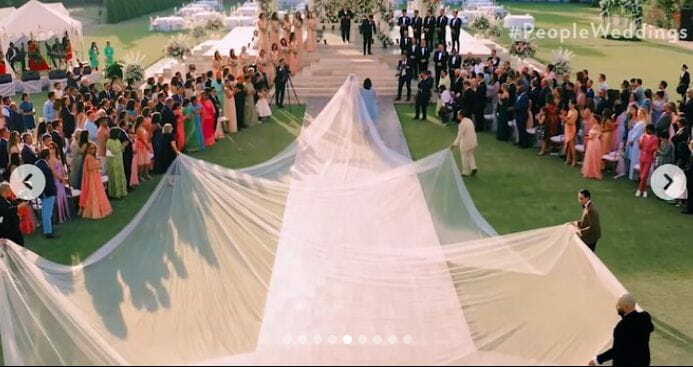 Recently in an interview, PeeCee told People magazine, “Every girl dreams of being a princess on her wedding day but I never had a plan about what I wanted it to be.” “Being able to have two big weddings, in India, with our closest family and friends was unbelievably special,” she added. After those beautiful pictures from the Sangeet and Mehendi ceremony, the first pictures of the couple are finally out! Just like any Indian bride’s bridal dreams, Priyanka too opted for a magnificent lehenga in the perfect shade of red for her Hindu wedding on 2nd December. 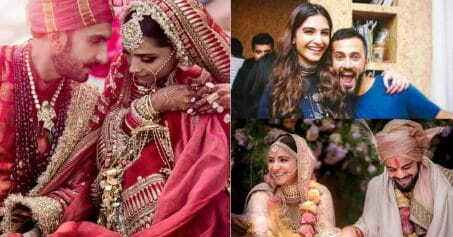 It won’t be a surprise to know that bride’s wedding created by the best-in-business Sabyasachi Mukherjee. After creating Deepika Padukone’s and Ranveer Singh’s exclusive and extensive wedding trousseau, Sabyasachi yet again threw us in awe of his creation. Speaking to an international publication, Priyanka said, ‘For the Indian wedding, I wore Sabyasachi. I always knew I wanted a red traditional silhouette for my wedding but Sabyasachi brought in incredible French embroidery to the mix and with incredible jewelry and western inspired veil it was just such an amalgamation of who I am!’. 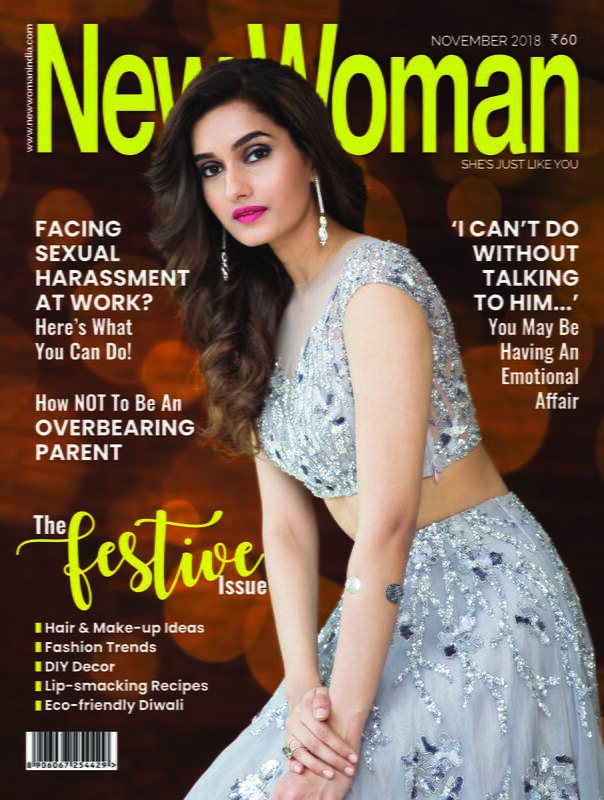 Pairing her red lehenga with bridal jewellery – maang tikka, big stunning nose ring with hair chain, chooda, kalira, etc., our ‘Desi Girl’ looked like our perfect bride. 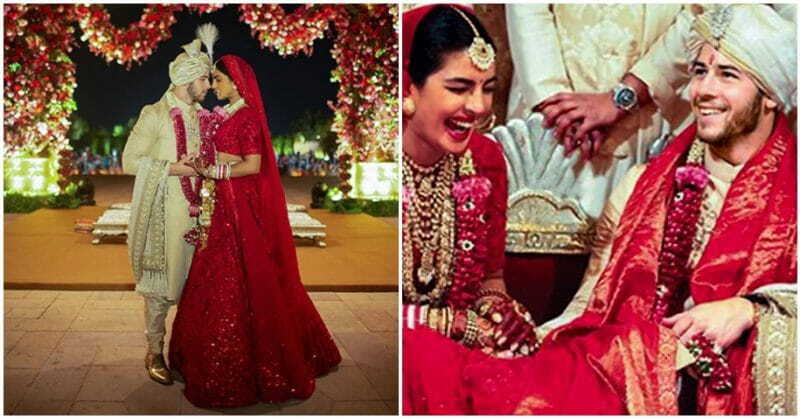 While Priyanka looked like a vision in red, Nick opted for a traditional white-and-gold sherwani, golden jootis and a magnificent golden turban and looked nothing lesser than a dreamy Indian prince himself. Also Read: #PriyankaKiShaadi: This Is How Much Parineeti Demanded From Jiju Nick Jonas In-Exchange For His Juttis! 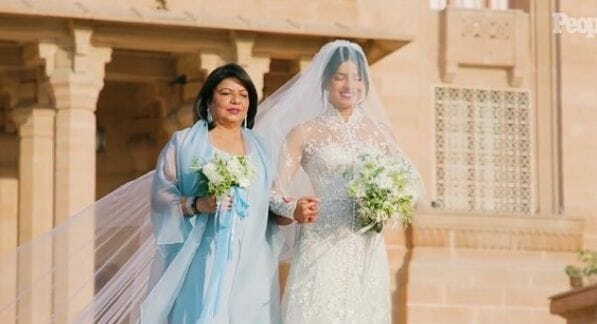 Everything about Priyanka’s white wedding outfit screamed her personality – bold yet soft at heart, modern yet traditional. 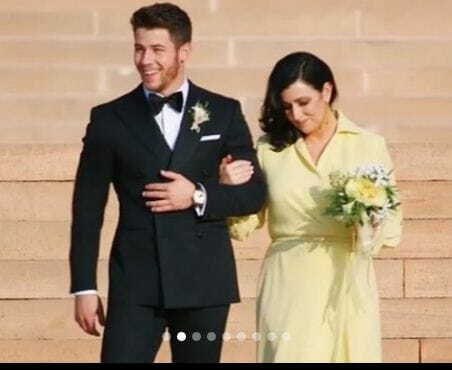 What warmed our hearts was Nick’s romantic touch to his wedding tuxedo – he requested the tux maker to stitch a small piece of lace from his bride’s wedding dress inside of the purple lapel of his tux with the words ‘My Jaan’ embroidered with it. A multi-tiered white and gold wedding cake was brought in from Dubai and Kuwait for the cake-cutting tradition at Nickyanka’s Christian wedding. Post that, the new-wedded pair had an amazing Sangeet ceremony with family and friends. The most recent news of the newly-wedded global-couple is that they are in Delhi, ahead of their first wedding reception. The couples’ close relatives, friends and many renowned dignitaries, including nation’s PM Narendra Modi, are expected to grace the reception with their presence. Also Read: PHOTO ALERT! Priyanka Chopra Shares MORE PHOTOS From Her Sangeet-Dance Competition!